One of the reasons why many musicians never make it in the music business is because they make the wrong assumptions about what things actually lead to success in this business. As a result, they spend their time and energy on actions that only make their career goals less likely to occur. I discussed in detail what some of these things are in this article about how to become a professional musician. In contrast, successful musicians with long term music careers focus on developing entirely different sets of personal traits, skills and ‘assets’ that are proven to lead to music industry success. There is nothing special or secretive about what these things are - anybody can develop them, including you. In this article I will share with you the most important of these qualities and will give you some advice on how to develop them within yourself. Prepare to be surprised - the list below contains NO mention of your ‘musical’ skills. It is a given that you must be working to get your musical skills up to the ‘pro’ level (by studying with the best music teacher you can find) at the same time as you build your music career. However, your musical skills alone are not enough to enable you to make it in the music industry. There are A LOT of musicians in the world who are more than good enough on their instrument to have a music career but will NEVER become pros in this business. Musical skills alone aren't enough - no matter how talented you are or how many music degrees you have. Most of the items below deal with your ‘mindset’ and ‘who you are’ as a person rather than ‘what you do’. Few people naturally have the right mindset in all these areas, but this mindset CAN be trained (or developed) to increase your chances for ‘making it’ in the music business. After learning the importance of the qualities below and developing them within myself (the hard way), I now mentor other musicians to do the same to help them to succeed in the music industry. 1. Knowing ‘the right things to do’ to move your music career forward. ‘Working a lot’ will only get you so far if you don’t take the ‘correct’ steps to advance your career. 2. Getting things done ‘the right way’ (efficiently and without wasting time). A lot of people are ‘busy’ every day without anything truly ‘important’ getting accomplished - you don’t want to be one of them. 3. Understanding how every action you take relates to the big picture of your ‘long-term’ music career goals (more on this below). 4. Having the perseverance to do work ‘in advance’ LONG BEFORE any payoff or benefit from the work is realized. Recording an album or putting together a great band are common examples of this. Fortunately, you can learn to develop the needed level of work ethic by having a crystal clear vision of your music business goals and by having a mentor show you an effective blueprint for making them happen. In the music business (as in any business), you are not going to become successful all on your own. Record companies, band members, managers, promoters and other musicians you collaborate with become your ‘business partners’ in every project you take part in throughout your career. Since these people and companies invest their resources into working with you, they expect your loyalty (just as you will be expecting it from them in return). Disloyal musicians are often ‘blacklisted’ from future opportunities. Most people take this point for granted and can maintain an illusion of loyalty to their music industry partners until they get an opportunity to get ahead ‘at the expense of’ their associates. Although there are many different examples of what it means to be loyal (or disloyal), in a general sense this quality refers to not jumping at every opportunity to get ahead while knowingly creating conflicts of interest with those you work with. At the same time, of course ‘loyalty’ does NOT mean that you must let others succeed at ‘your expense’ and allow everyone to walk all over you freely. There is a fine line that you must learn to sense as you develop your own code of loyalty in the music business and it’s difficult to become truly successful long term without this trait. 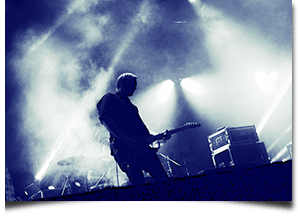 To help you further learn what the music business companies will look for in you, take this assessment to see how to prepare for a career in the music industry. Even if you have a record company helping you to manage the business side of your career, it is in YOUR best interest to also have a thorough understanding of areas such as: songwriting, booking shows, building a web presence, negotiation skills, organizing/planning a tour, recording music, generating profitable business ideas, promoting your music effectively, building and controlling your own fan base, having good communication skills, plus many more. Learn how to protect yourself from certain failure in your music career. how the music business works. Learn how your strengths in music can permanetly destroy your career. The point is that successful musicians in the music business do much more than simply ‘play their instrument’ and this is why they are always in demand and are more likely to become highly successful. Too many musicians approach any music business opportunity (or conflict) looking out ‘only’ for their own interests. Certainly you need to have your own needs met, BUT there is a difference between trying to do so ‘at the expense’ of others vs. doing so in a way that benefits all parties involved. The musicians who get the best music career opportunities and achieve the biggest success know how to get what they want WHILE helping everyone they work with do the same. In almost every situation, there is a way to achieve a mutually beneficial outcome for all parties involved. Doing so requires you to think completely differently than most people (and especially musicians) do. This is a rare (and EXTREMELY valuable) quality and one that I spend a huge amount of time training musicians to develop in my music career mentoring program. Taking advantage of any music business opportunity becomes MUCH easier when you have the freedom to do so. This freedom (or money AND time) is something that all successful musicians create for themselves in the process of building their music careers. Learn how to do the same in this article on how to start a music career. Activities such as touring, working in the studio, juggling the demands of a variety of tasks and projects - all while having to get along with a large number of people put great strain on your ability to cope with stress. Getting projects accomplished and moving forward without becoming distracted with petty conflicts that pull your focus away from your goals is a big challenge for many people. The most successful musicians manage to successfully navigate through such situations and remain stable under pressure, while most are completely unaware of this side of their personality until they are put into circumstances that test it. When mentoring musicians, I help them discover this part of themselves as they work together as a team on career building projects that last for weeks/months at a time. For most people, this leads to a whole new set of awareness about themselves (and people around them) and helps them to correct the weaknesses that could severely hurt them in the music business. The music industry is MASSIVE (in terms of the number of opportunities that can be explored) and also there are lots of obstacles, challenges and frustrations that come along with pursuing any new path. At the same time, you have a limited amount of resources (time, money, energy etc.) to invest into any project. To compound the challenge further, in many cases you will need to do a lot of work ‘up front’ before reaching the initial objective you set out to achieve. Unless you have a crystal clear vision of where exactly you want to end up in your music career, it is VERY easy to become pulled in too many different directions that will either take you in a completely wrong path from your original goal or will keep you in the same spot because your time and energy are spread too thin - getting nowhere. Those who become successful in this business always keep their eyes focused on the final goal they want to achieve. As a result, they are able to accurately evaluate any potential opportunity that comes across to decide if it is worth the investment of resources or not. By using this intuition and experience they can navigate towards their final objective in the most efficient way possible. 1. Learn about the things that will HURT your chances of ever becoming a successful in the music industry by reading this article about becoming a professional musician. 2. Evaluate your current level of readiness for a successful music career. This music industry assessment will help you. You must have a clear starting point of where you are with your preparations for a music career before you can move forward. 3. Create a plan for how you intend to improve the weaknesses you identified in step 2 and put that plan into action immediately, so that you can start moving forward in your music career. 4. Speed up the process of reaching your music business goals by getting training from an experienced mentor who is already doing all the same things you want to do in the music industry. Become a successful professional musician with music career mentoring.